An after hours shot of the Papermoon Southside Club. 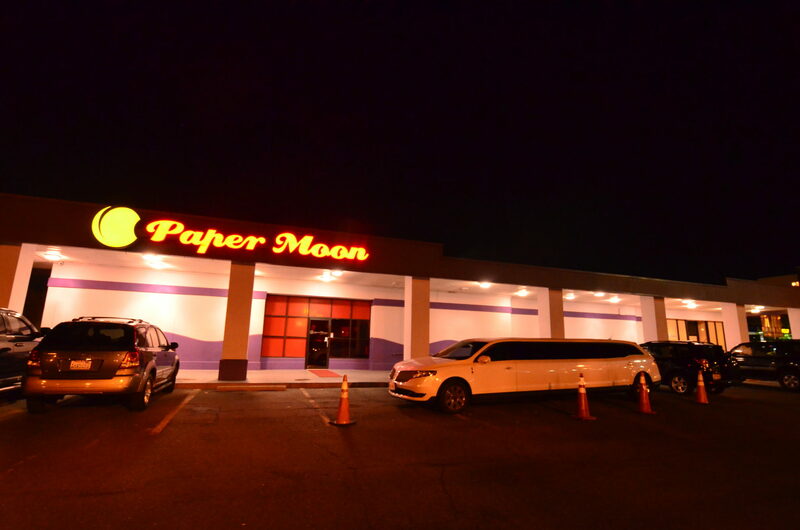 If you’ve ever lived or visited the Washington D.C. area and hit the adult nightclub scene, chances are you are very familiar with the biggest name in the area, Papermoon. With 2 locations in Richmond, Va and one just outside of D.C. in Springfield, the name is synonymous with upscale adult entertainment. They also have clubs in Little Rock and Winston-Salem, but I was only able to visit the 3 clubs in the DC area on my last few visits there. So what sets them apart from everyone else? Experience. Limo parked out front of a packed Sunday night at Papermoon Springfield. Alexa, bartender at Papermoon Southside! When it comes to management in this industry, you’ll be hard-pressed to find anyone more talented than James Ritter. James has worked with some of the top people in the industry, working with the best in the management field, like Dean Reardon, as well as many of ED’s DJ of the Year nominees, such as Jon Harmon, Ilan Fong, and Mark Wagner. I even had the chance to be his entertainment director at his last club and it was an absolute pleasure to work with him there. At Southside Papermoon, he has Panda Top 20 creator and Panda of the Year 2015, Sean Lovelace as his number one guy read Sean’s DJ Spotlight HERE! ), with top-notch DJ Ian “ThirDegree” spinning at the club in Springfield. James brought his talents to Southside as their GM a few months ago and did such an excellent job he was quickly promoted to COO, bringing a higher level of prestige and success to an already powerful presence in the area. The clubs are the perfect mix of spacious and intimate. Many clubs go “too big” and lose that feeling that many high-end customers look for in a gentleman’s club. There’s always multiple stages running with beautiful girls everywhere. Another thing that James is known for is putting together a great mix of beauty and talent in his waitstaff. Papermoon is no different. Champagne bottle service is available at all the clubs, with popular selections on beer and wine. Another great thing about these clubs is that the stay open a little later on the weekends, so even if you’re done drinking, you still have time to enjoy yourself with the best entertainers in the region.